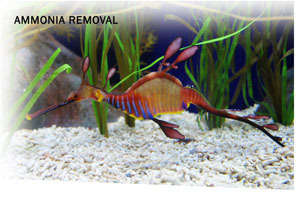 Safely remove toxic aquarium ammonia, the #1 killer of fish, with AmmoSorb Eco Aquarium Ammonia Removal Deco Rocks. Ammonia removal in marine tank reduces stress & disease in fish. AmmoSorb is eco-friendly, non-toxic, natural & safe for people, fish & the planet. Breeding of fish as a hobby and commercial aquariums are on the rise. When fish are reared in self contained water systems the problem of unacceptably high levels of ammonia usually arises. Studies have shown that even ammonia concentrations of a few parts per million can be extremely toxic to many varieties of fish and result in stunted growth, gill diseases, brain damage, sterility and ultimately death. Ammonia can result from feces, natural life processes, overfeeding, decaying organic material, and breaking the chloramine bond in municipal water supplies. Ammonia can quickly build up to dangerous concentrations if left untreated. AmmoSorb Ammonia Removal Deco Rocks were specially developed to solve the problem of toxic ammonia levels in aquariums while providing a beautiful decorative finish. 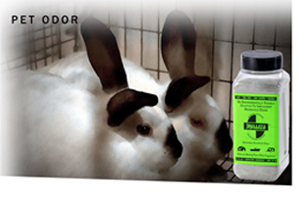 AmmoSorb will trap ammonium ions on contact and thereby reduce toxic ammonia concentrations. AmmoSorb is capable of removing up to 99% of ammonia from water and result in a safer and healthier environment for fish. 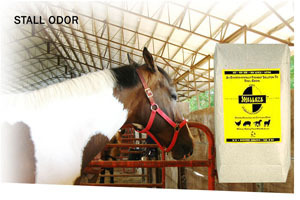 Removal of ammonia results in improved growth and appetite as well as lower stress and disease. 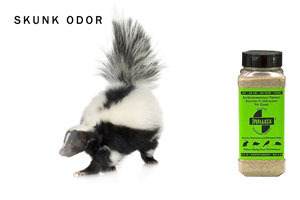 To use, simply apply to goldfish bowls, aquariums, ponds and shipping containers.